ONLY 36,478 Miles! PRICED TO MOVE $700 below NADA Retail! 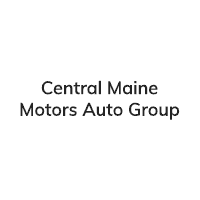 4x4, SIRIUS SATELLITE RADIO, iPod/MP3 Input, Brake Actuated Limited Slip Differential, CD Player, TRANSMISSION: 5-SPEED AUTOMATIC (W5A5... QUICK ORDER PACKAGE 24S CLICK ME! 4x4, iPod/MP3 Input, CD Player, Brake Actuated Limited Slip Differential. MP3 Player, Child Safety Locks, Steering Wheel Controls, Rollover Protection System, Electronic Stability Control. 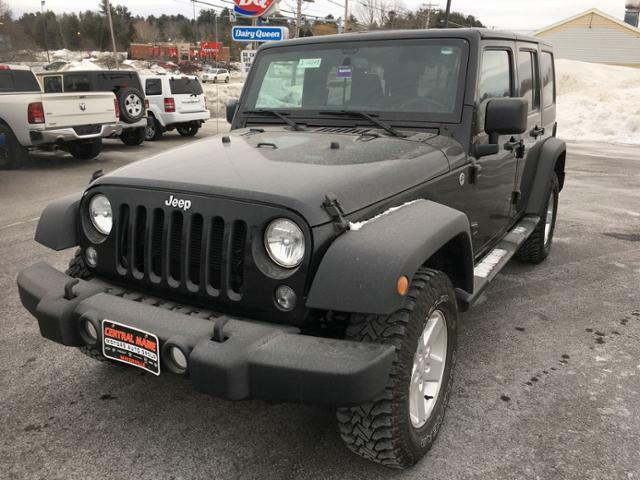 QUICK ORDER PACKAGE 24S Engine: 3.6L V6 24V VVT, Transmission: 5-Speed Automatic (W5A580), Deep Tint Sunscreen Windows, Leather Wrapped Steering Wheel, Chrome/Leather Wrapped Shift Knob, Tires: P255/75R17 OWL On/Off Road, Power Convenience Group, Front 1-Touch Down Power Windows, Remote Keyless Entry, Power Heated Mirrors, Power Locks, Security Alarm, Wheels: 17 x 7.5 Aluminum, Auto Dim Mirror w/Reading Lamp, TRANSMISSION: 5-SPEED AUTOMATIC (W5A580) Hill Descent Control, Tip Start, BLACK 3-PIECE HARD TOP Rear Window Defroster, Tinted Rear Quarter & Liftgate Windows, Delete Sunrider Soft Top, Freedom Panel Storage Bag, Rear Window Wiper/Washer, TUBULAR SIDE STEPS, SIRIUS SATELLITE RADIO, ENGINE: 3.6L V6 24V VVT (STD). KBB.com explains There's generous ground clearance, minimal overhangs, and that distinctive Jeep look, of course. 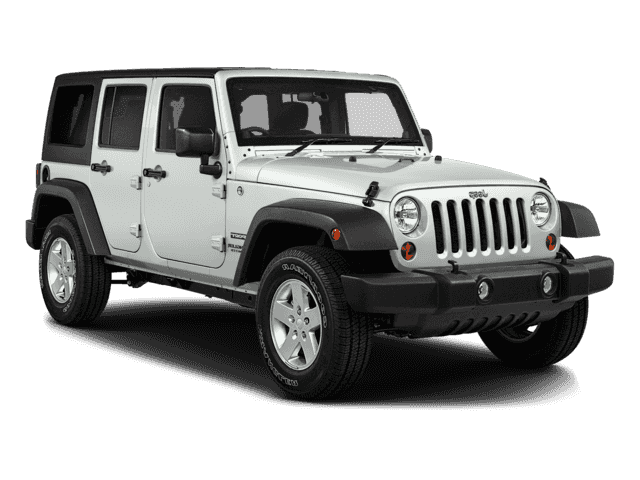 Being equipped with 4-wheel drive, the Wrangler is nearly unstoppable off road.. 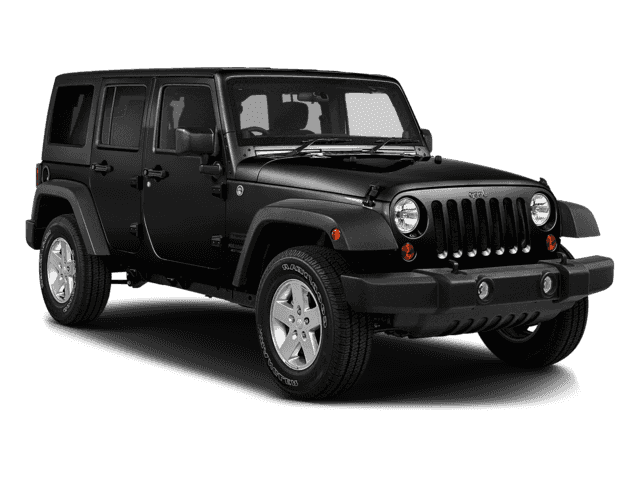 This Wrangler Unlimited is priced $700 below NADA Retail.